The Route 66 of 1926 was quite different from the Route 66 of 1950, or even 1960. The highways renaissance, however, is truly a unique period in U.S. 66 history. Today the old road has a distinctly international character that adds a uniquely vibrant and colorful feel to a Route 66 adventure. The road is a living, breathing time capsule with a thin Disneyland type veneer. Route 66 is a destination as well as America’s longest attraction. The Great Race with dozens of vintage cars is currently following Route 66 west toward Santa Monica Pier. William Shatner is on the road with a futuristic motorcycle. In coming weeks groups from the Czech Republic, the Netherlands, Australia, Germany, and New Zealand will be enjoying their Route 66 adventure. 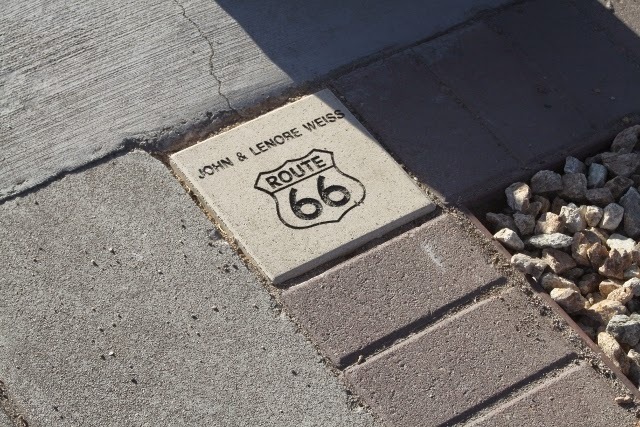 Last year during the Route 66 International Festival in Kingman, Arizona the Route 66 Walk of Fame was unveiled. Conceived as a means of honoring the individuals who played a role in transforming the highway into an icon, inductees included John and Lenore Weiss, Michael Wallis and Angel Delgadillo. This year the induction ceremony will take place during the annual Best of the West on Route 66 Festival on the weekend of September 25. Even though Jerry McClanahan, a pioneer in the Route 66 renaissance movement will be honored with inclusion, most of this years nominees reflect the international nature of Route 66 in the 21st century; Dale and Kristi-Anne Butel, Dries and Marion Bessels, Zdnek and Eva Jurasek. The festival in Kingman seems to have been the tipping point. The city has moved from talking about harnessing the Route 66 renaissance to doing it. The 1945 Bell Motel that has hung precariously in limbo for more than a decade is being given a new lease on life. The unsightly mess on the corner of Forth Street and Andy Devine Avenue (Route 66) has been cleaned up and today paving will begin. This is the first and most visible project undertaken by Scott Dunton and newly reorganized Route 66 Association of Kingman, Inc.
That association has yet to establish a website but for membership information, or information about current projects the contact phone number is (928)753-1314. 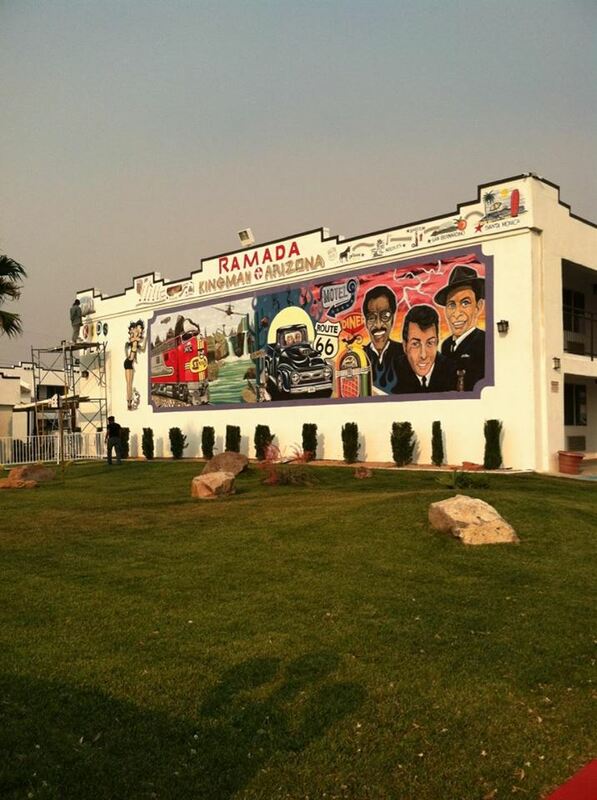 The 160 Miles of Smiles promotional project shifts gears tonight at a meeting scheduled for 6:00 PM at the Ramada Kingman. In addition to presenting information about the Route 66: The Road Ahead initiative, the talented development team of Brian Zimmerman, Michael Perez, and Donald Gialanella will provide a video teaser for the project that will also showcase the potential in professional video presentations for the marketing of a community or event. Gialanella is a talented sculpture who worked as television producer in a previous life. Check out his website and imagine the possibilities. Perez is a talented young man looking to establish a reputation. To say he is gifted as a videographer and editor would be akin to referring to Duluth as chilly in January. In addition to the miles of smiles campaign, the team will accept new clients who looking to add vibrancy to their marketing and promotional endeavors. While Sam Frisher at the El Trovatore Motel continues the work that is transforming a derelict roadside artifact from 1939 into a destination, and the owners of the historic Hill Top Motel serve as loving stewards and make creature comfort improvements, the former Holiday Inn, now the Ramada Kingman continues to morph into the cities first full fledged Route 66 resort. In addition to renovated rooms, restaurant, and lounge, and a new pool, colorful murals are being added and a children’s play area is under construction. Next on the owners list of improvements; comedy club nights and the development of day trip tours of the Kingman area. Chillin’ on Beale that takes place on the third Saturday evening of each month, April through October, continues to gain in popularity. Enhancing the event is the opening of new restaurants, micro breweries, and the restoration of vintage signage along the historic Beale Street corridor. The renovation of the 1946 Dunton Motors dealership complex is moving forward. Details are thin but the advertisement campaign to promote Big All is well underway. My understanding is that Big Al will be on display by the Fourth of July. 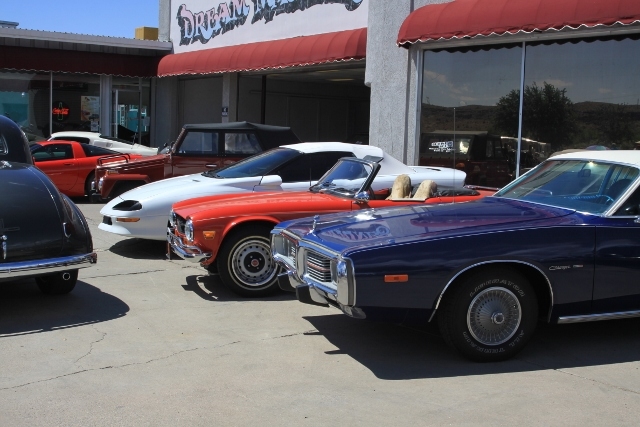 That is but one of several attractions that will transform this classic automobile dealership into a new Kingman destination. A delightful ice cream parlor and bakery in the shadow of the Brunswick Hotel, planning sessions pertaining to the relighting of the Hotel Beale neon, the Stetson Winery, and an array of events under development are all clear indications that Kingman, Arizona is awakening to the possibilities that abound when a community harness the Route 66 renaissance as a catalyst for transformation. Thanks for the pop Jim. Looking forward to great things!